Panjabi is a traditional clothing which can be worn for any occasion. Panjabi has a traditional value in Bangladesh. The main material of Panjabi is mostly Cotton or they can be cotton mixed. Only soft material fabrics are used for making Panjabi as it is supposed to be a comfortable loose fitting dress. 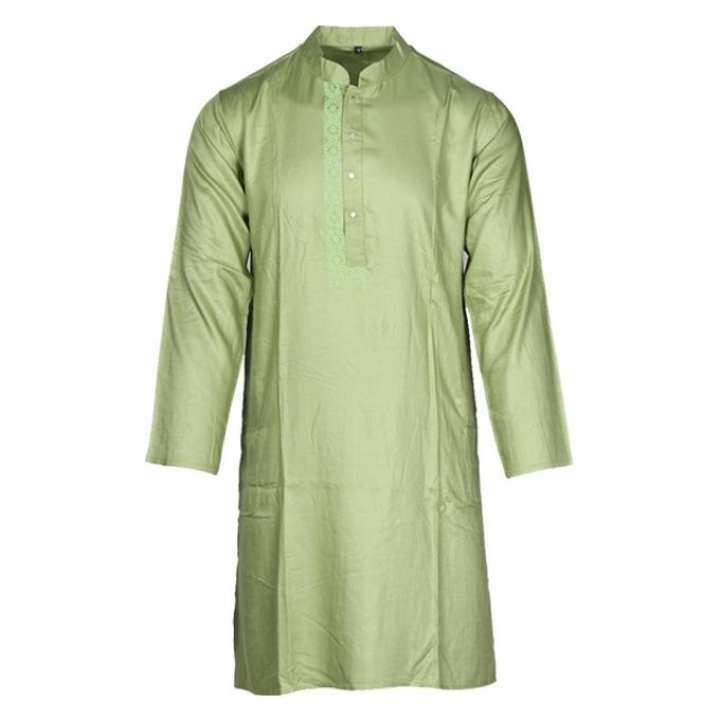 Though good quality cotton is the most common material used for making Panjabi. Other fabrics like silk and satin are also used.